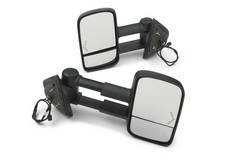 Looking for Accessories for your Chevy Silverado? GM-Car-Parts.com carries only genuine GM parts and accessories for your Silverado so you know that the fit and quality is what you’re looking for. From step packages to splash guards we carry all available genuine GM accessories. Begin by Choosing Accessories, your Make, Year and Model and then just what you’re looking for. Begin your search for genuine Chevy Silverado OEM accessories by clicking the link below. Be sure you include your VIN when placing your order to ensure you are getting the parts and accessories you need for the year and model you have. Our staff will double check your order against your VIN to be sure that your parts are right the first time. Whether making your Silverado more convenient, comfortable and better looking, find the Silverado OEM accessories you need here at GM-Car-Parts.com. From mirrors to tail lights, and everything inside and out, GM-Car-Parts.com offers you genuine GM OEM parts and accessories at wholesale prices. Order now and start saving. Include your VIN with your order and our staff will double check your order to ensure you get it right the first time. Orders over $300 may qualify for free shipping*. Keep your Trailblazer looking as good on the inside as the outside with genuine GM OEM parts for your interior. 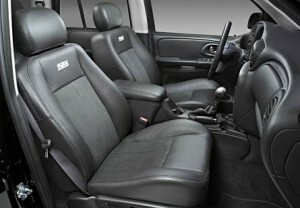 We have the OEM replacement interior parts to make your Trailblazer look brand new again. From console to garage door openers designed specifically for your Chevy Trailblazer, you can keep it looking like new and make life easier as well. Inside or out, we have the genuine parts and accessories you need for your Trailblazer. Whether you own a 2004, 2009 or some other year, you can find the parts you need for both interior and exterior. GM-Car-Parts.com carries only genuine GM parts and accessories. We check you order with your VIN to make sure the Trailblazer interior parts you ordered are right for your Trailblazer. Order online and get wholesale prices from GM-Car-Parts.com, your genuine Detroit GM OEM parts dealer.